CONNECT THE DIGITAL AND ANALOG WORLDS. ACTIGY: A BUTTON, INFINITE POSSIBILITIES. Silent Alarm – Because safety matters most. Are your staff and customers safe in the event of a robbery or terrorist alert? More than 600,000 violent crimes per year in Germany alone speak for themselves and the trend is rising. Shopping centres, health insurance companies, schools, universities or public authorities – wherever party traffic is involved, the risk of getting into dangerous situations increases. In case of threats, a push of a button on ACTIGY® is all it takes to get a grip on the situation without attracting attention. The action button is connected to the network infrastructure. It can dial an emergency number, send a message, evacuate parts of the building or close doors at the touch of a button. Exactly in that order, or in any other order. As specific as the situation requires. Evacuation – the appropriate reaction when things have to be done quickly. As each second and every decision counts to save lives, you should be perfectly prepared. When large office buildings, shopping malls or universities need to be evacuated, safe and planned action is required. Uncoordinated evacuation leads to panic and collateral damage. Property is destroyed, people are injured and, in the worst case, killed during evacuation. If the hazard is detected and the action button pressed, ACTIGY® can provide intelligent and life-saving evacuation: ACTIGY®, in combination with, for example, the telephone system, enables smooth, planned evacuation through pre-programmed processes. ACTIGY® integrates itself into the existing infrastructure and third-party systems without any further cabling or construction measures. Facility Automation – the Power of IoT. Can you imagine taking entire buildings off the grid at the touch of a button? Modern buildings contain a variety of different automation systems. Linking them together is complex and usually requires the installation of additional cabling and infrastructure. The strength of ACTIGY® is its ability to link existing building automation systems together in the event of an alarm. Whether air-conditioning, access control, central power supply or burglar/fire alarm system: All these systems can be linked together on the basis of the already existing, structured cabling. Imagine you could save lives at the touch of a button. You could evacuate a building complex specifically in the event of a fire, trigger a silent alarm in the event of a terrorist attack or gradually shut down an entire server farm. All this and countless other situations are the use cases of ACTIGY®. ACTIGY® is easy to operate for the user and at the same time represents a high-security block. The Action button uses the existing PoE infrastructure and can therefore not only be integrated quickly and easily into existing systems without additional cabling, but also offers a central and clear software interface for setup, administration and monitoring. 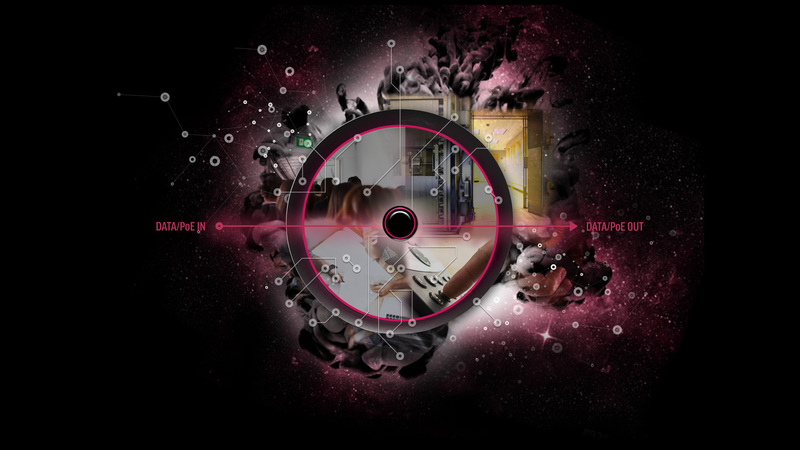 Hardware & software at the highest quality level – Made in Germany. 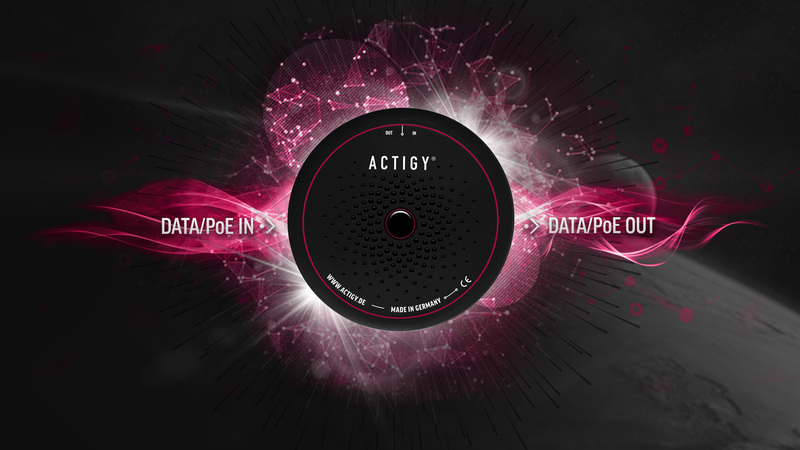 ACTIGY® – AN IoT BUTTON CONNECTING SYSTEMS. These possibilities are almost infinite. Would you like to learn more about the advantages? Then get in touch with us now.